(WUCWO) General Assembly in Senegal where we were welcomed as Associate Member. 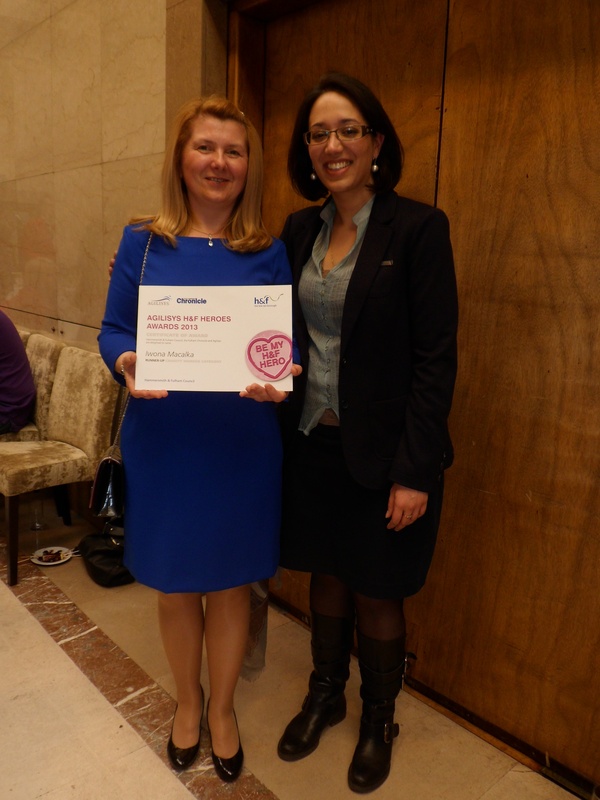 Agilisys H&F Heroes Awards 2013 – Hammersmith & Fulham Chronicle nominated Iwona to the Award in the Charity Worker Category. Iwona was shortlisted together with other two nominees – Bill Cox and Rasheda Ginja Ashanti. On the 15 May 2013 the Award Ceremony was held at the Hammersmith & Fulham Town Hall. Iwona was the runner –up and was presented with the Certificate of Award by the Mayor of Hammersmith and Fulham Councillor Belinda Donovan. Victoria also attended the event.